My first two finds through the blogging world can be totally blamed on Nymeth over at Things That Mean A Lot. Nymeth was looking into Victorian novels and came up with a list of new books to add to my list. This one is one of my favourites and I am waiting to pick it up from the library. The novel opens in London, in the 1880s, with the Barton household on the brink of collapse. Mother, father, and daughter provoke one another, consciously and unconsciously, and a horrifying crisis is triggered. As the family’s tragedy is told several times from different perspectives, events are recast and sympathies shift. In the dark of night, a chilling sexual spectre is making its way through the house, hovering over the sleeping girl and terrorizing her fragile mother. Are these visions real, or is there something more sinister, and more human, to fear? A spiritualist is summoned to cleanse the place of its terrors, but with her arrival the complexities of motive and desire only multiply. The mother’s failing health and the father’s many secrets fuel the growing conflicts, while the daughter flirts dangerously with truth and fantasy.While Angelica is reminiscent of such classic horror tales as The Turn of the Screw and The Haunting of Hill House, it is also a thoroughly modern exploration of identity, reality, and love. 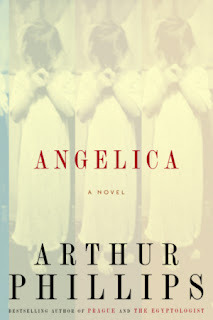 Set at the dawn of psychoanalysis and the peak of spiritualism’s acceptance, Angelica is also an evocative historical novel that explores the timeless human hunger for certainty. Nymeth mentioned this book as being similar to I Capture The Castle by Dodie Smith, which happens to be one of my favourite books. So now I am desperate to read it. Winner of the 1933 Femina Vie Heureuse Prize, Cold Comfort Farm is a witty, irreverent parody of the works of Thomas Hardy and D.H. Lawrence. Flora Poste, left an orphan at the end of her "expensive, athletic, and prolonged" education, sets off for her relatives at Cold Comfort Farm, despite dire warnings of doom and damnation. Once there she encounters Seth, full of rampant sexuality; Elfine, who flits in and out in a cloak that is decidedly the wrong color; Meriam, the hired girl who gets pregnant every year when the "sukebind is in bloom;" and Aunt Ada Doom, the aging, reclusive matriarch who once "saw something nasty in the woodshed." Flora decides to "tidy up life at Cold Comfort Farm." Mocking Hardy's and Lawrence's melodrama, sensuality, and use of symbolism, Stella Gibbons has Flora, with her no-nonsense attitude, give Elfine a good haircut, teach Meriam some elementary lessons in birth control and send various morose, rural relatives off to happier fates. Here is the first of my Young Adult choices this week. This was read and reviewed over at Carrie's YA this week. Five months ago, Valerie Leftman's boyfriend, Nick, opened fire on their school cafeteria. Shot trying to stop him, Valerie inadvertently saved the life of a classmate, but was implicated in the shootings because of the list she helped create. A list of people and things she and Nick hated. The list he used to pick his targets.Now, after a summer of seclusion, Val is forced to confront her guilt as she returns to school to complete her senior year. Haunted by the memory of the boyfriend she still loves and navigating rocky relationships with her family, former friends and the girl whose life she saved, Val must come to grips with the tragedy that took place and her role in it, in order to make amends and move on with her life. This was read and reviewed by Diane over at Bibliophile by the Sea this week. Henry, Tess, Winnie, and Suz banded together in college to form a group they called the Compassionate Dismantlers. Following the first rule of their manifesto—"To understand the nature of a thing, it must be taken apart"—these daring misfits spend the summer after graduation in a remote cabin in the Vermont woods committing acts of meaningful vandalism and plotting elaborate, often dangerous, pranks. But everything changes when one particularly twisted experiment ends in Suz's death and the others decide to cover it up. Nearly a decade later, Henry and Tess are living just an hour's drive from the old cabin. Each is desperate to move on from the summer of the Dismantlers, but their guilt isn't ready to let them go. When a victim of their past pranks commits suicide—apparently triggered by a mysterious Dismantler-style postcard—it sets off a chain of eerie events that threatens to engulf Henry, Tess, and their inquisitive nine-year-old daughter, Emma. Full of white-knuckle tension with deeply human characters caught in circumstances beyond their control, Jennifer McMahon's gripping story and spine-tingling plot prove that she is a master at weaving the fear of the supernatural with the stark realities of life. So these are the four books I have found and now want desperately to read this week. Have you read any of these? I haven't but ooh I really want to read Angelica and Dismantled now! Hi, I have given you an award. Please stop by to pick up logo when you get a chance. My niece loves I Capture the Castle too but I haven't gotten around to it yet. Glad to hear you like it also. Cold Comfort Farm sounds like an interesting read. I never read I Capture the Castle but I hear fantastic things about it. Maybe I should pick up both and give them a try. Dismantled has been on my radar for a while. Cold Comfort Farm looks good too! Wow, great finds Viv. Angelica sounds very good and I love the cover as well. My Friday Find is here. Somehow I missed that list on Nymeth's blog! Angelica definitely sounds interesting. I can't wait to hear your thoughts on Angelica! Also, some bloggers told me in the comments that they didn't think I Capture the Castle and Cold Comfort Farm were anything alike, so I hope I haven't mislead anyone :P It's not my fault, though, as two different people told me that! 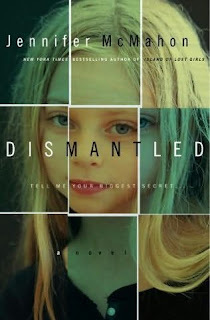 I have not read any of these but I want to read Dismantled by Jennifer McMahon.. I have read her other books and she is a great writer. Love your blog here. Have a great weekend. Angelica sounds very good... I'm tempted. Okay, I think maybe I really need to chuch the book challenges I have joined, so I can clear the way for all the great books I keep finding!! 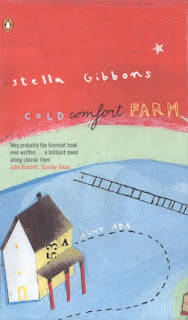 Cold Comfort Farm is one I have had on my shelf for quite some time and now that you have mentioned it in this post, I want to read it.